I was recently granted a limited time, secret knock code, that allowed me access to some scenes from the upcoming Hectic Films movie Border Brothers. I couldn't be more excited to see this film, but this wasn't necessarily the case before I made my way to that shady motel door, mentally repeating the knock code to myself, and trying to watch for movement out of the corners of my eyes. Maybe I was just brought out here to be robbed and have my body dumped in a dark alley? Hectic Films is legit... right?! Before I was nervously toeing dirty syringes out of the way, and slowly shuffling up to that motel doorway, I was a bit apprehensive about a comedy that deals with illegal immigrants, drugs, and a white pool boy. I was worried that as an Indie Film, it would walk up to the line of decency and then just giggle and jump off the side of the moral mountain and leave us with something so offensive you just wanted to take a shower after watching it. I can happily report that that is not the case at all! One of the first clips I saw showed me just how perfectly balanced the film is. That white knight pool boy who has the lead role? He's not the brightest bulb in the bundle. Those illegal immigrants who are so easily dropped into an obscure land of language barrier and ignorance that you see portrayed throughout Hollywood and television? They aren't in this film either. 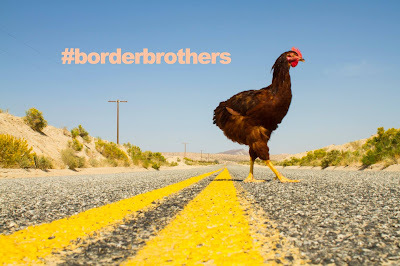 The illegal immigrants in Border Brothers are probably one of the greatest things about the film, as they are not the ones being judged, but instead, are doing the judging, in hilarious fashion! Now, don't be scared off by the lack of offensive material, I assure you there is plenty here. It just manages to stay offensively safe, and never just completely runs off the rails. From a law enforcement officer telling his assaulter that he "Hits like a transgender", to the clueless ranting of a confused and out of his element white guy who never quite grasps that his racist remarks are not just being heard, but also understood. Border Brothers has a little something for everyone, and I am excited to say, I will be one of the first in line to see it when it premiers! 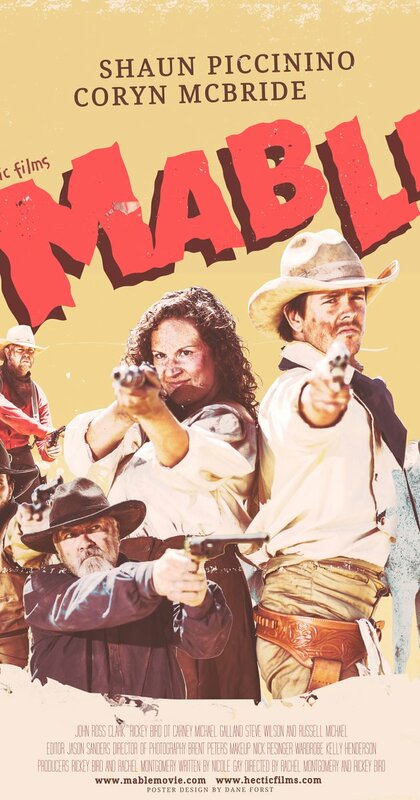 Mable Ain't No Mail-Order Cowboy Movie! Hectic Films has done it again! Taking the world of Indie Film Making by the reigns and spurring fast and hard with it's latest short film, Mable. The film finds a gang of ranch hands turned thieves pushing hard West with a few items stolen from Mr. Bedford, who had hired them on to work the fields. Among those items, is Mr. Bedford's daughter, Mable (Coryn McBride). The story picks up with us meeting Tom Landry (Shaun Piccinino) who meets with Mr. Bedford and company to hear of what has happened. Offering one item of his choosing from what the gang stole, Tom accepts and sets out on his sparrow catching mission. He soon tracks down the gang making camp for the night, and bullets fly. From the period clothing, to the grime and dirty dental neglect of the gang, this film pulls no punches and hits hard and fast. Delivering the action you want from a western, without all the ballyhoo you get from films twice as long. Mable is a fun little whap of Western, that shouldn't be missed! As The Man Drives is the kind of short film that stays with you, haunting your thoughts, and following you home. It takes a shot of dark noir and blends a little cigar smoke into the way you view the world, if only for a short while. Completely transporting you into the film experience in ways traditional Hollywood films can only dream about with future technology and the biggest record breaking budgets imaginable. The score is nothing short of mesmerizing and hypnotic. It sets not only the tone and pace of the film, but also grabs you from the start and submerges you so deeply, you might just find yourself drowning in the cinematic experience, and not at all worried about coming back up for air! D.T. Carney gives a spine chilling performance as the broken Detective Hank, struggling to make sense of just how far he has fallen. 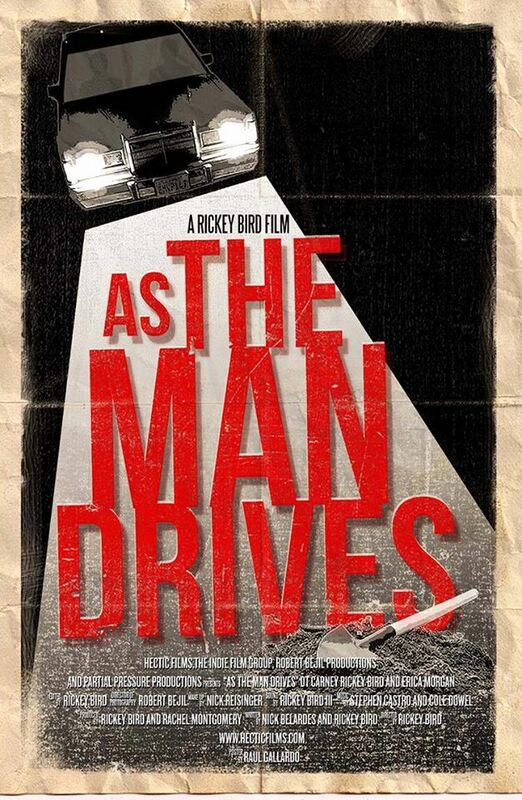 His partner, David (Rickey Bird Jr) struggles to give counsel as they make their way out of the city, into the night, where the truth waits with a finger on the trigger.